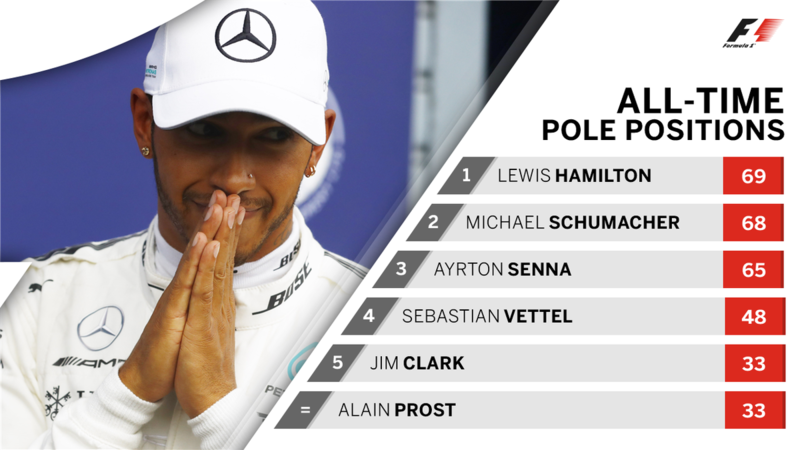 Lewis Hamilton broke the all-time record for pole positions by taking the 69th of his career with a sensational performance in wet qualifying at the Italian Grand Prix. 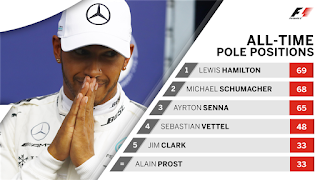 Hamilton was 1.148 seconds quicker than Red Bull's Max Verstappen in second place as title rival Sebastian Vettel of Ferrari could manage only eighth. 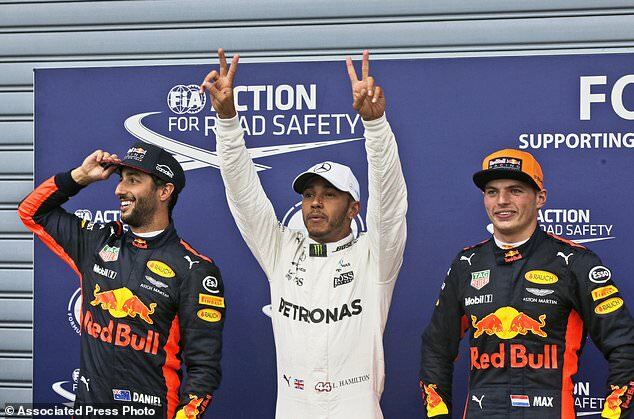 But Vettel will start sixth because of grid penalties for Verstappen and team-mate Daniel Ricciardo, who was third. Lance Stroll took a stunning fourth. 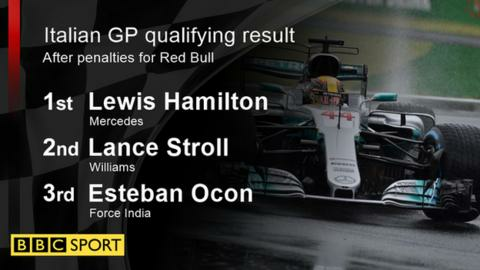 The Williams driver finished ahead of another notable performer as Frenchman Esteban Ocon took fifth in the Force India.